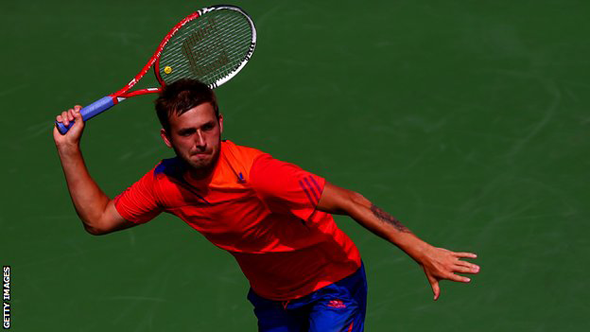 British number three Dan Evans extended his superb run at the US Open with a four-set victory over Australia's Bernard Tomic in the second round. Evans, ranked 179, won 1-6 6-3 7-6 (7-4) 6-3 to reach the last 32, where he will face Tommy Robredo or Frank Dancevic. The 23-year-old qualifier from Birmingham had already broken new ground by reaching the second round of a Grand Slam for the first time, having beaten 11th seed Kei Nishikori in his opening match. And while Tomic is ranked lower than the Japanese player at 52 in the world, the 20-year-old Australian is another major scalp for Evans.